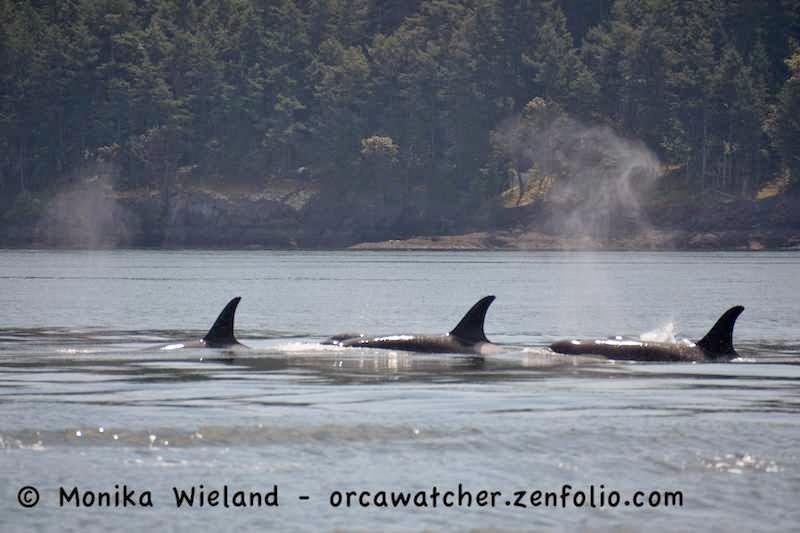 Orca Watcher: Last Day Of May: J-Pod!! 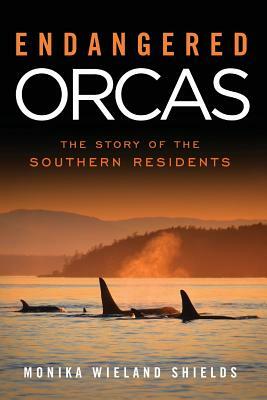 Another month has slipped away and still the Southern Residents have been scarce. My May 9th blog post focused on how dismal April sightings have become, and it looks like May is following the same trend. I've compiled another graph to show just how bad it's gotten - you can see the Chinook numbers in orange have pretty much flat-lined in recent years. 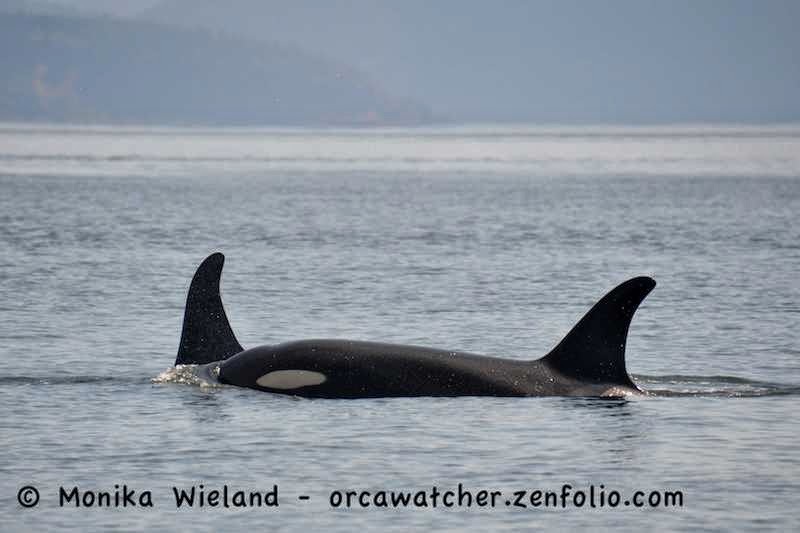 Blue shows number of days Southern Residents were present in inland waters in the month of May from The Whale Museum's Orca Master data set with a red trendline. 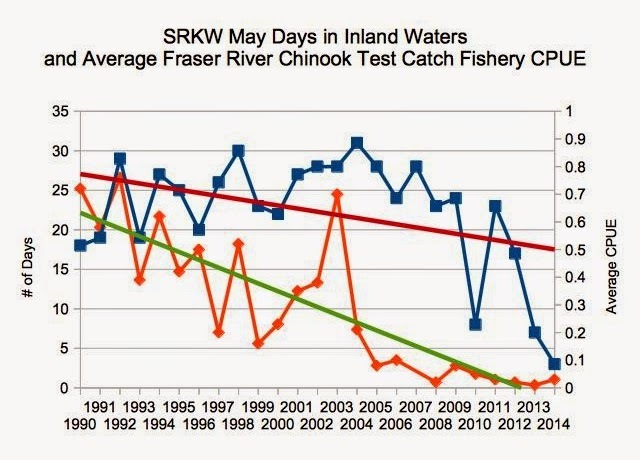 Orange shows average catch per unit effort (CPUE) for the month of May for Chinook Salmon on the Fraser River's Albion Test Catch fishery. This data set has a green trendline. NOTES: No test catch data available from 2007. 2001 data is from 25 days, 2002 data is from 24 days, all other years are an average of all 31 days of May. 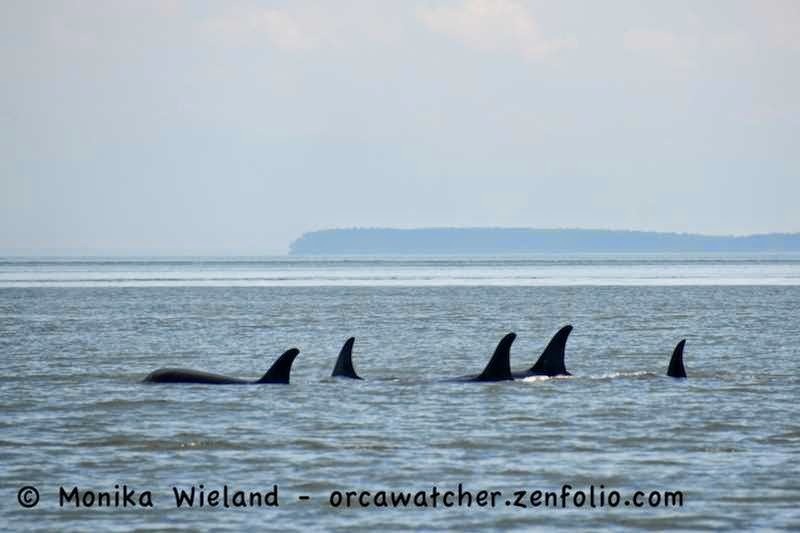 The surprise yesterday morning, however, was that J-Pod was suddenly on the west side of San Juan Island! This is why the camera bag always stays packed, because I think I set record time from bed the west side. 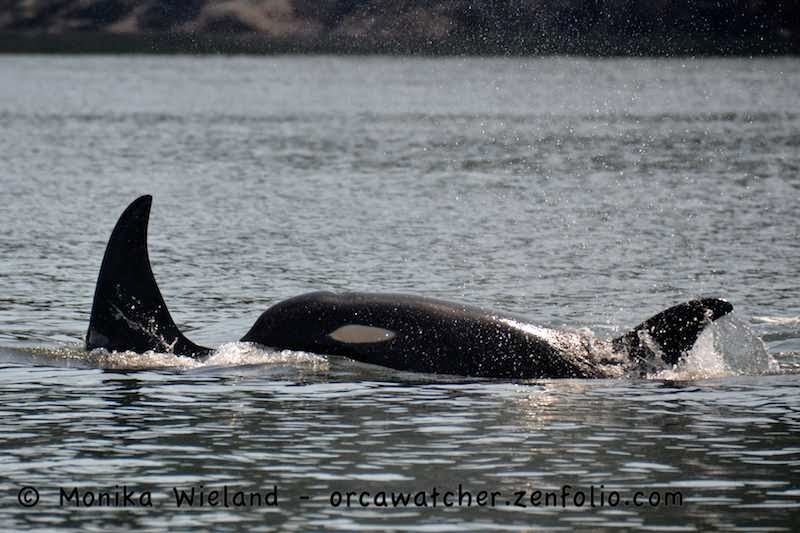 My first stop was at San Juan County Park, where I saw a few spread out whales slowly heading north. 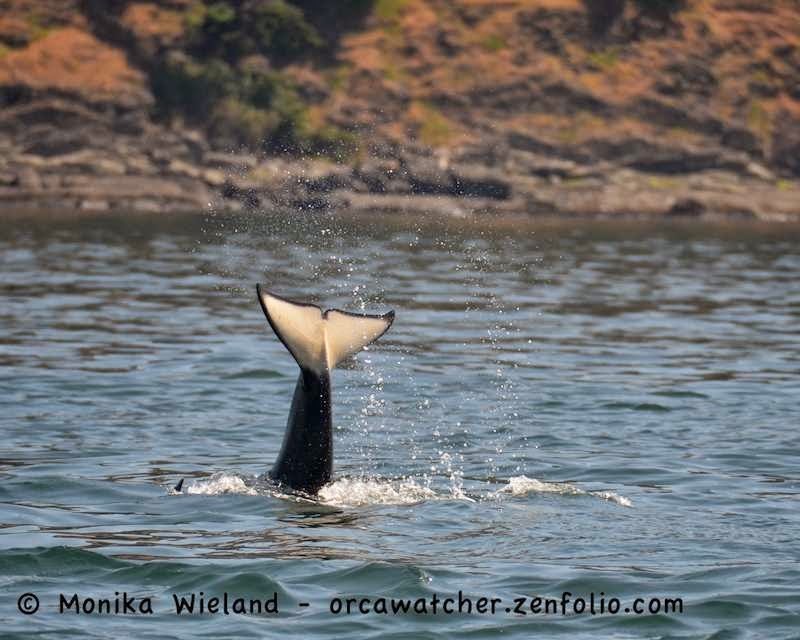 A friend alerted me that were still more whales to the south, so I jetted down to Lime Kiln, where the conditions were just perfect for watching whales: blue, flat calm waters and that gorgeous early morning sunlight. The J16s were slowly, slowly making their way north. 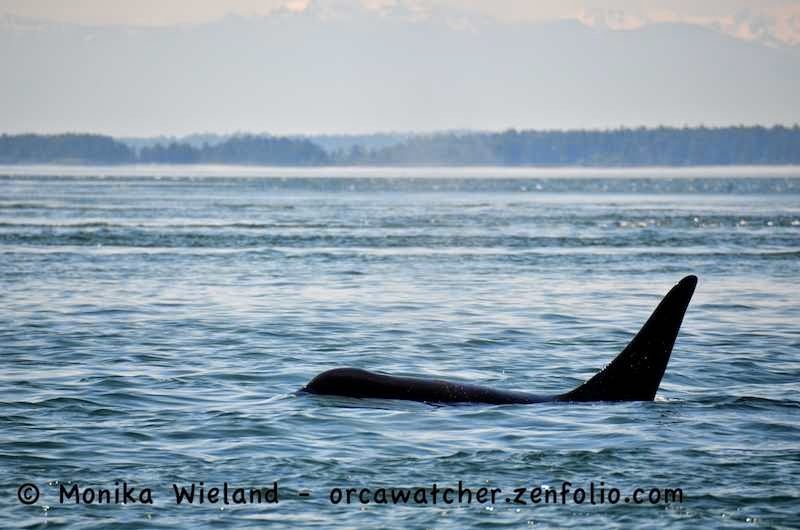 Luckily I was able to get out late in the morning with Maya's Westside Charters. 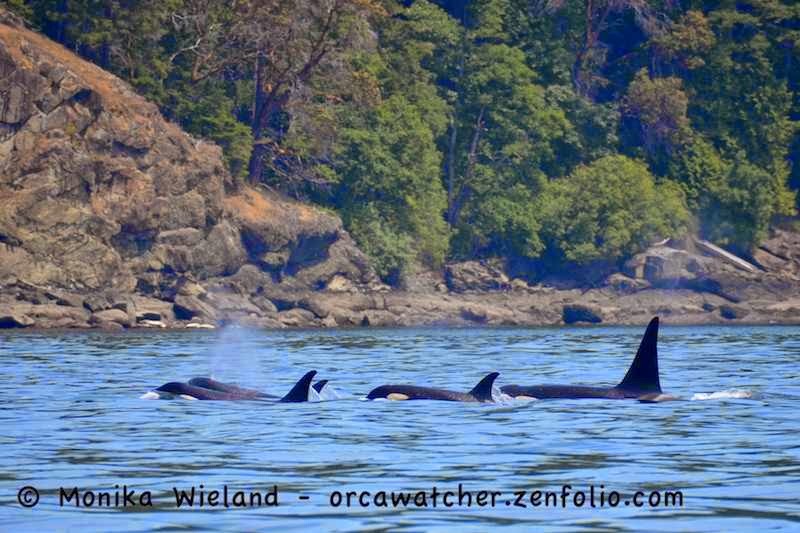 We didn't have to go far to catch up with the more northern group of J-Pod. 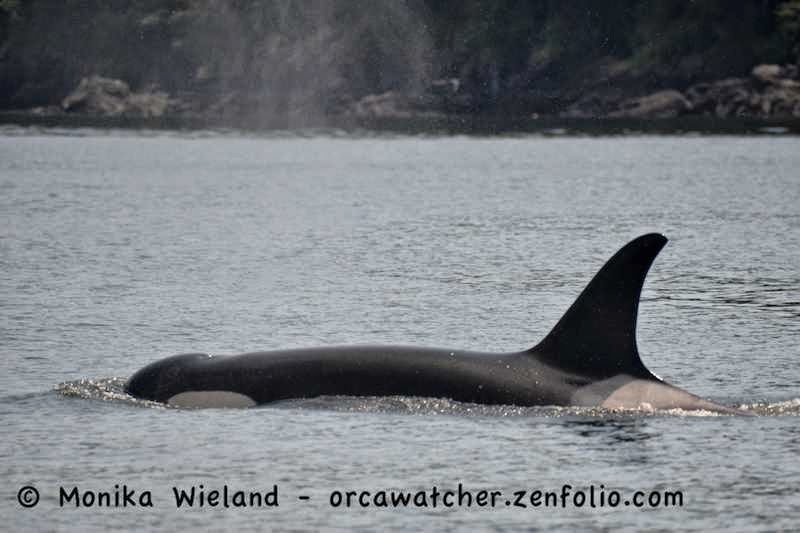 The first whales we came across were J2 Granny and her companion L87 Onyx. The J14s were just a little further north, just goofing around by the looks of it. 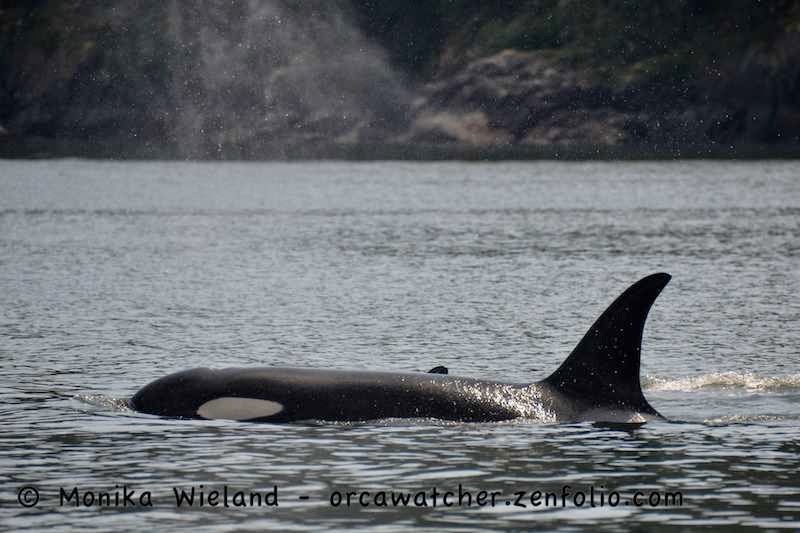 Not far away were J19 Shachi and her daughter J41 Eclipse. 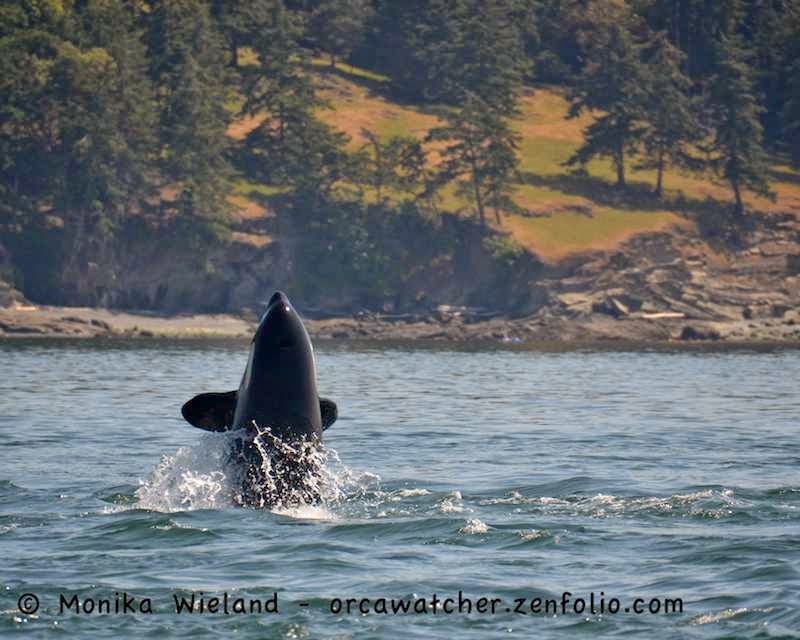 Eclipse is a special whale to me because I saw her when she was just a few days old - I always love seeking her out in my first J-Pod encounter of the year to see how much she's grown. She's going to be 9 this year! There were surfacing in synchrony, almost like a resting line, with long dives in between. It was SO NICE to see these guys! So rejuvenating for the soul. 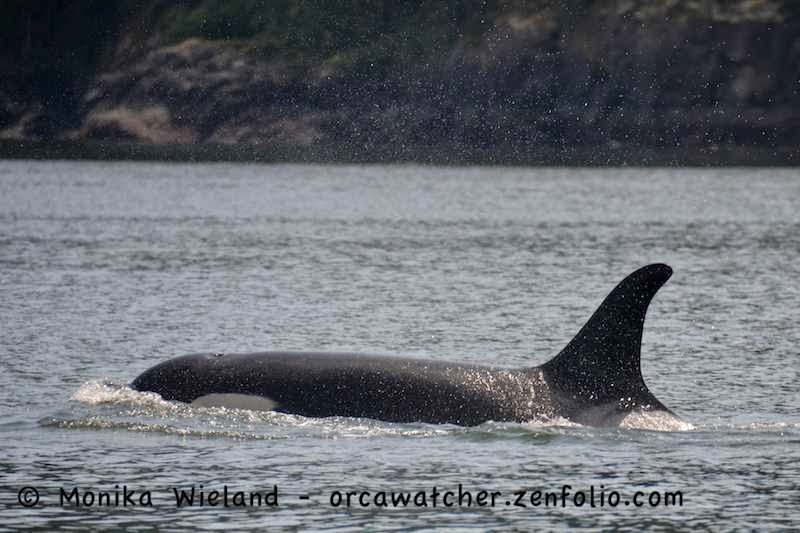 It had been since Thanksgiving Day last year since I had seen J-Pod. So this lead group was made up of the J14s, J19s, J2, and L87. 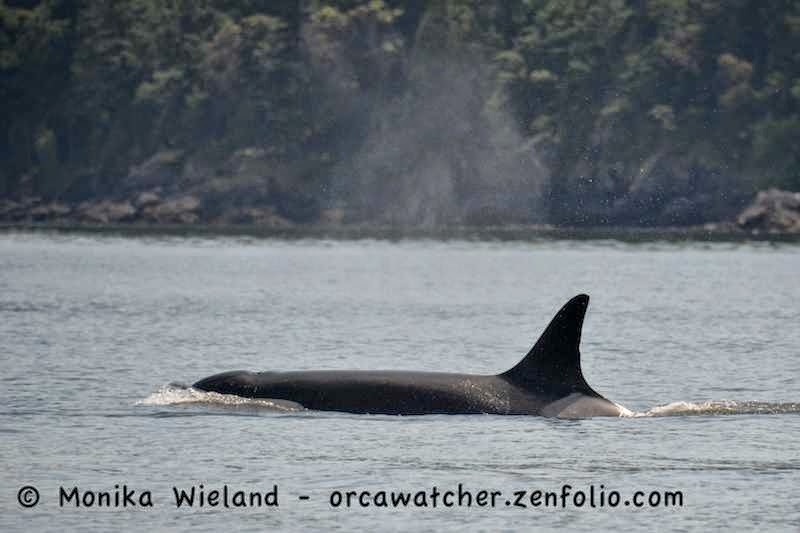 There were more whales meandering north miles behind them, so we headed back and met up with the J16s. 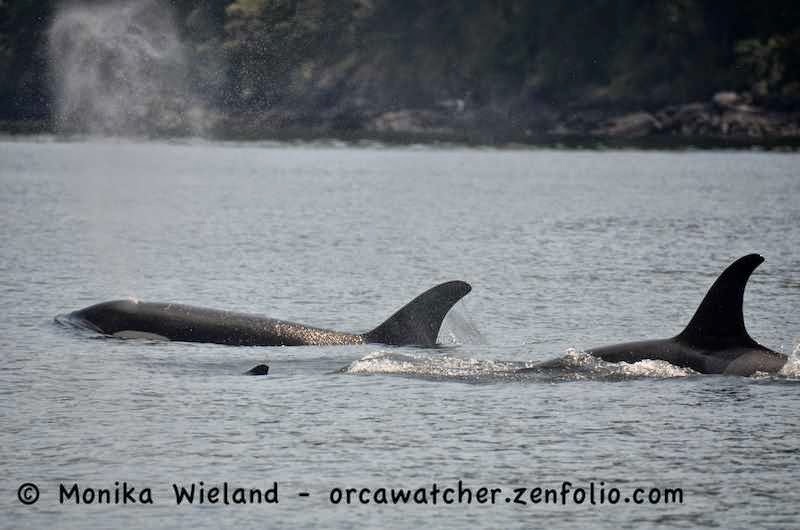 The same whales I had seen four hours earlier off Lime Kiln had finally made their way up towards Stuart Island, too. 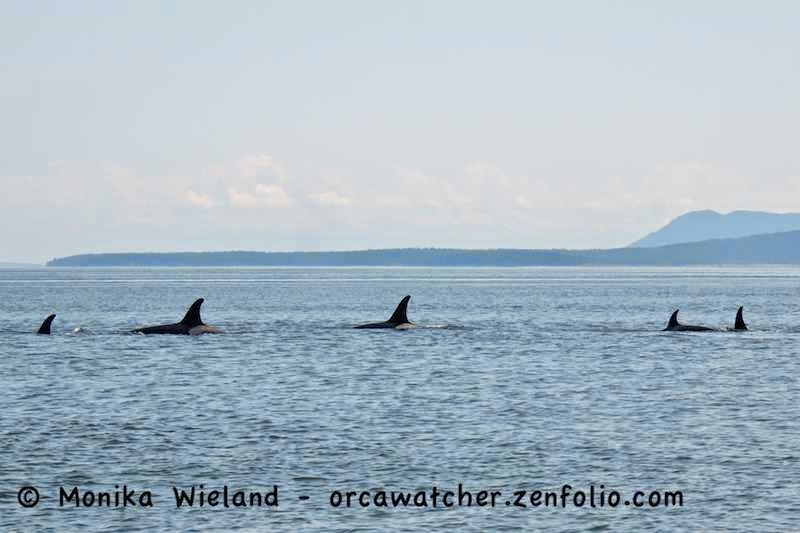 We didn't see them, but the J22s were even further behind the J16s. Interestingly, the J11s and J17s were nowhere to be found. 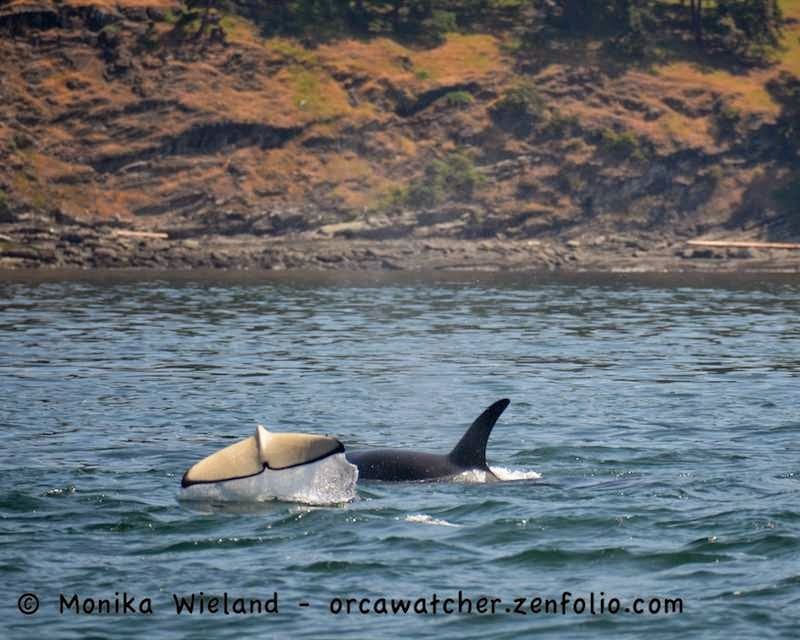 In recent years J-Pod has split into "Group A" and "Group B", but the J22s are usually part of Group B with the J11s and J17s, so this was a different split. 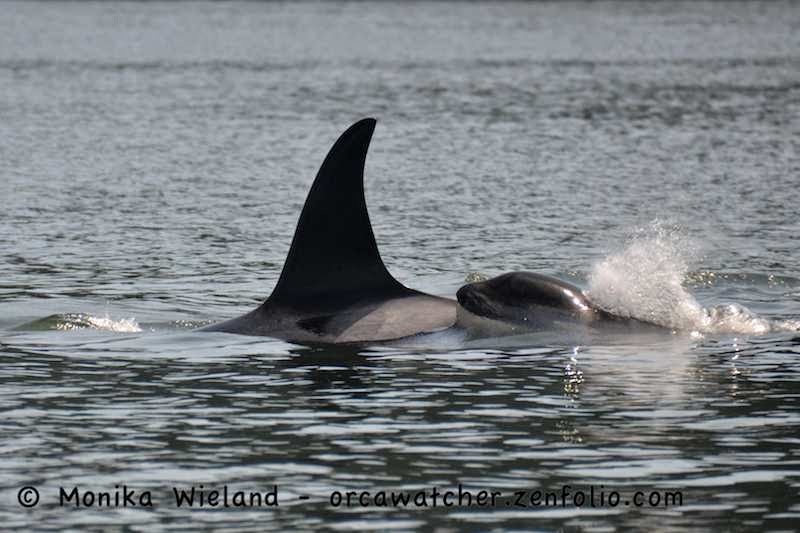 It was good to see the whales commit to going up to the Fraser River, as hopefully this means there's enough fish for them to stick around for a while! 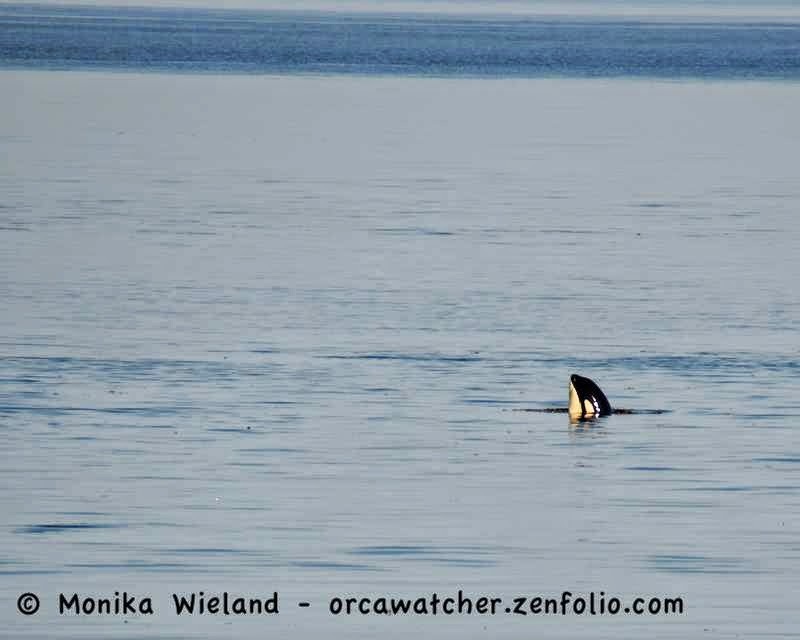 A friend got some photos of whales with fish in their mouths yesterday, so they were at least finding something to eat! Here's hoping they stick around for a while and kick June off the way it should be: with lots of residents in inland waters. 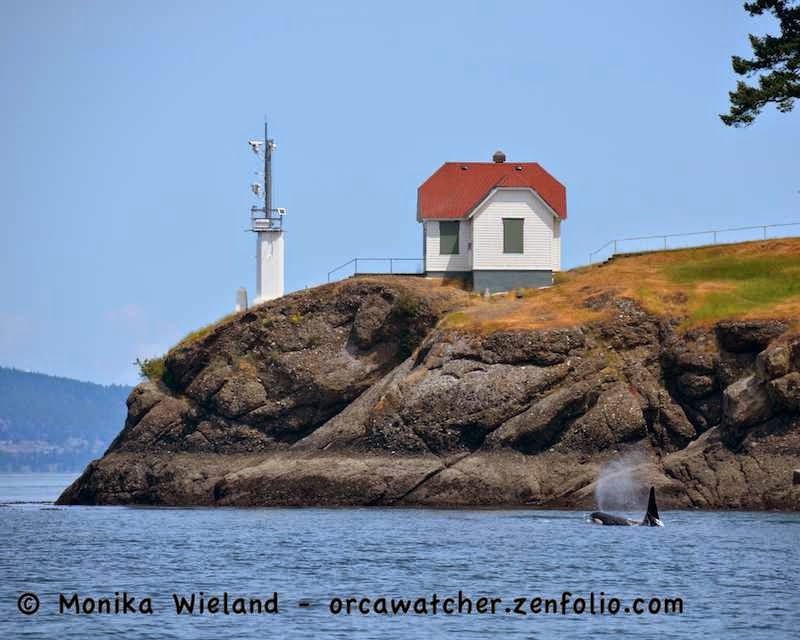 Last year the first week of June was my best stretch of shore-based whale-watching over the course of the whole summer, and I wouldn't complain about a repeat!